Begin by logging in to your Company profile. 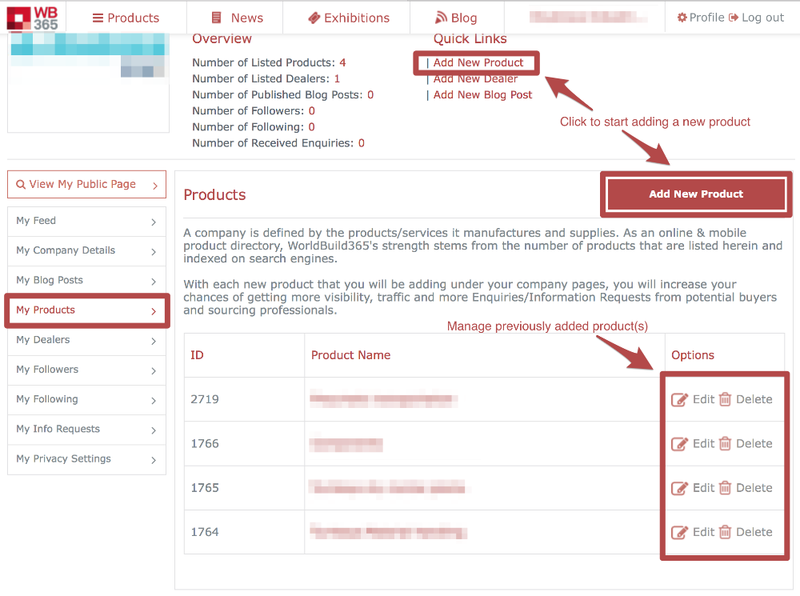 The following screen is the main product management page, which can be accessed by clicking the "My Products" link from the left navigation menu. 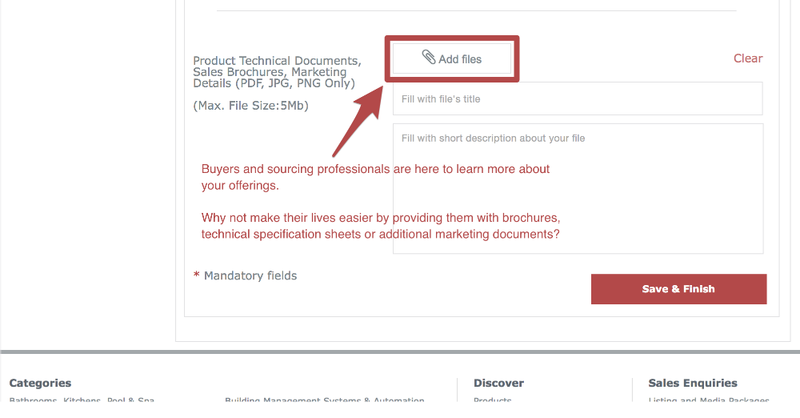 Adding/creating products is an integral part of the Company profile editing process. When adding a product always follow the on-screen instructions to make sure your company and product pages meet the requirements to attract users. 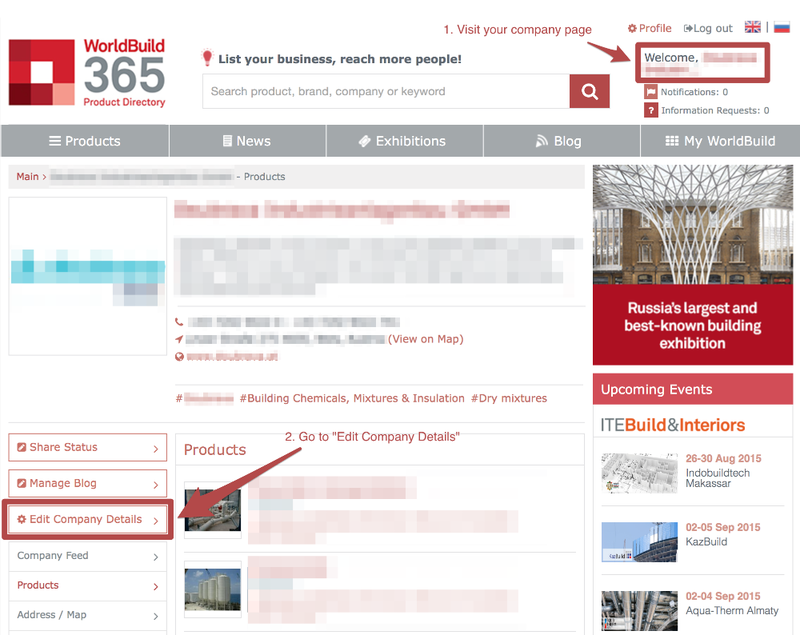 Be as thorough and informative as possible to increase your chances of getting displayed on relevant WorldBuild365 sections including but not limited to search results and category pages. 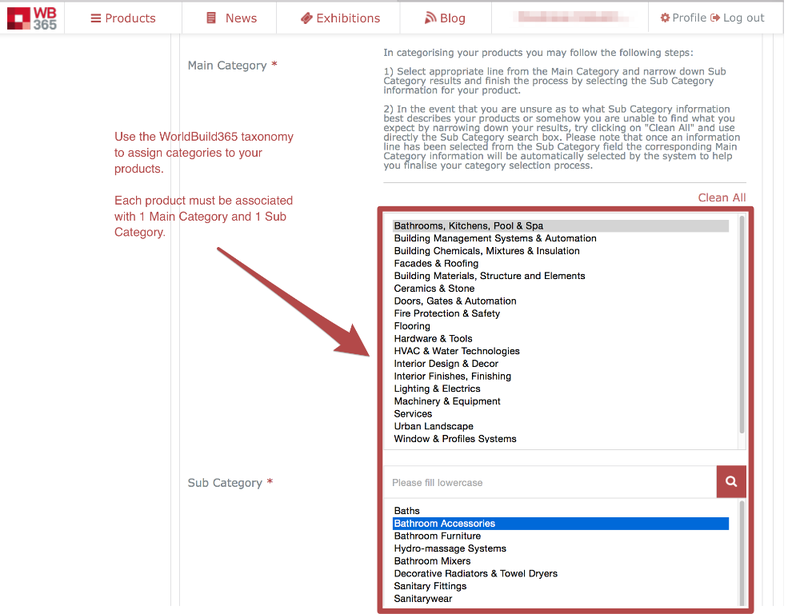 TIP: In order for your products to appear in both English and Russian sections of WorldBuild365 please take your time to fill out product entry forms in English, Russian and any languages that may be made available to companies and users in the future. 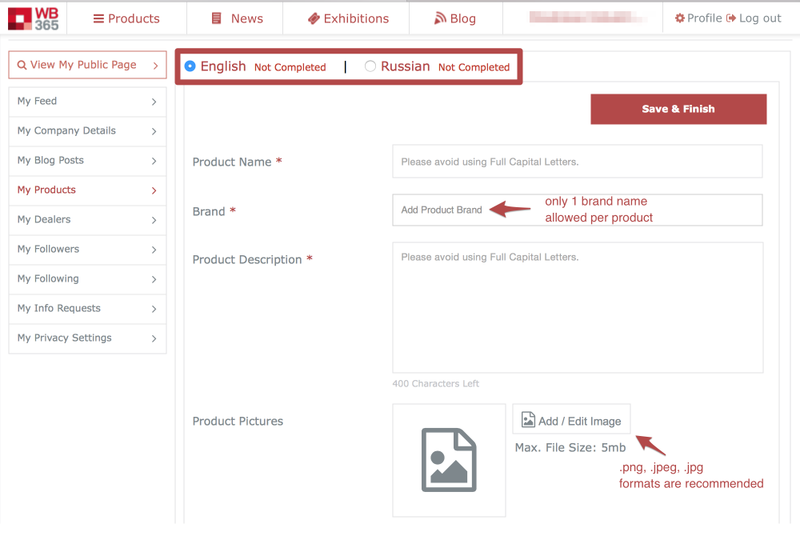 A status indicator exists on the top section of the product entry forms pointing to the completeness of the product in each language. "Not completed" means your product(s) fail to meet the minimum requirements to be displayed in the respective language version.